This recipe is courtesy of Amalkitchen.com who posts the most amazing recipes via videos on YouTube. Her food always looks amazing and really inspires me to try new things. 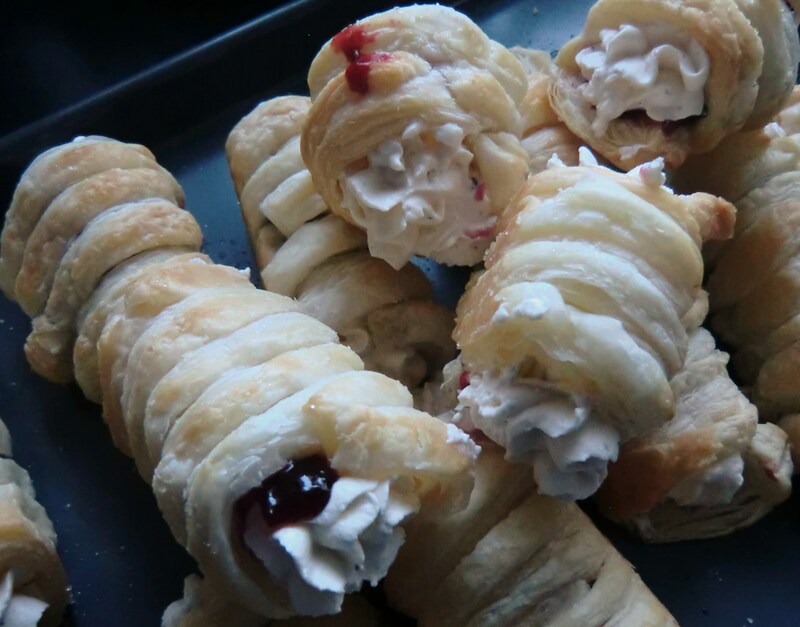 So When I saw this post for the Afghan Cream Rolls I decided to head down to the supermarket to buy the basic ingredients needed; puff pastry and double cream! We had an Afghan guest visiting over the weekend and I wanted to make a dessert that would be easy but bring the flavours from home. 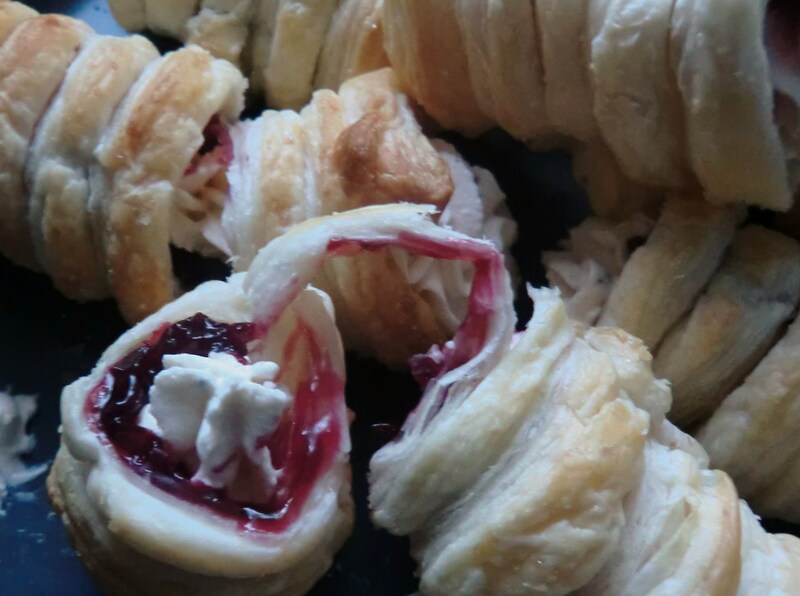 This recipe is similar to ‘cream horns’, fairly straight forward, although a little fiddly! Check out the video to see how simple this recipe is to make. 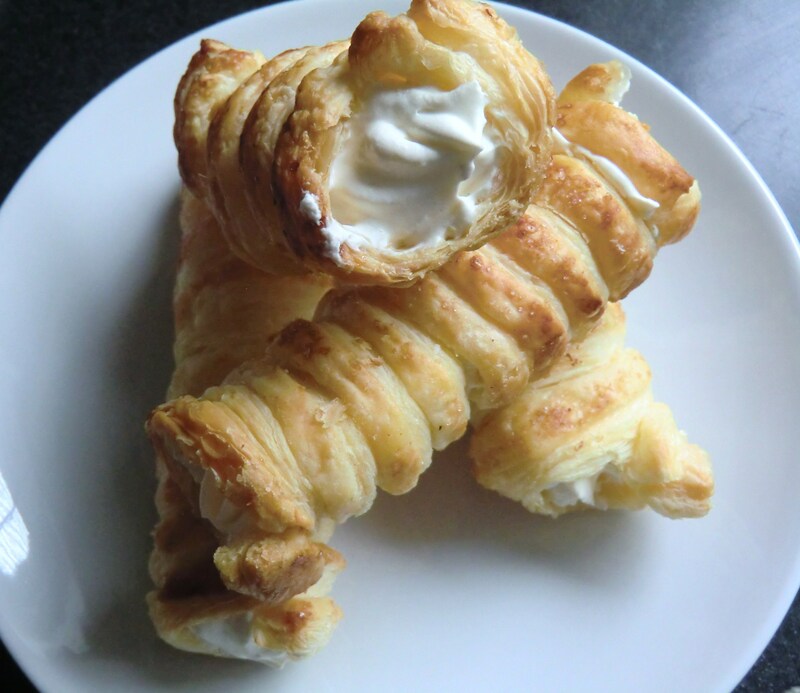 The basic ingredients are; ready rolled puff pastry, icing sugar, ground cardamom, whipping cream. 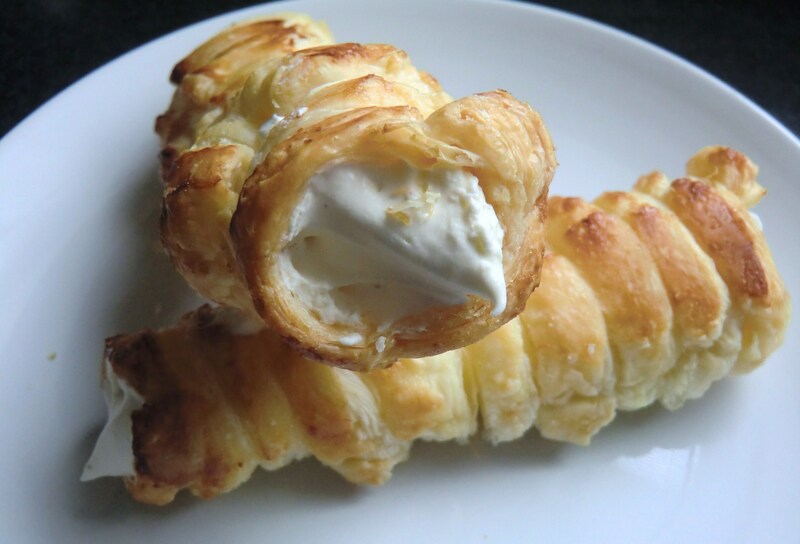 Once the rolls are cooled and the cardamom cream is piped in, the cones hold well. 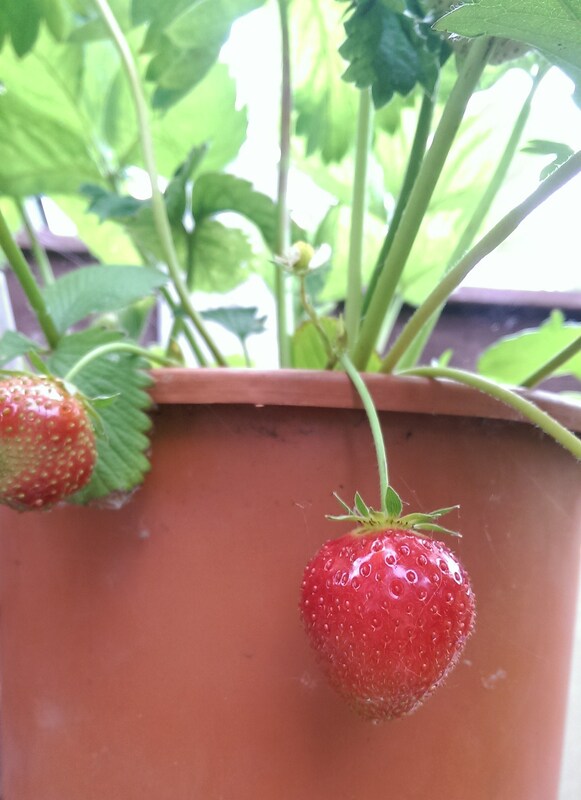 They should be filled just before eating to avoid soggy pastry, but they’ll still be fine after a couple of hours. 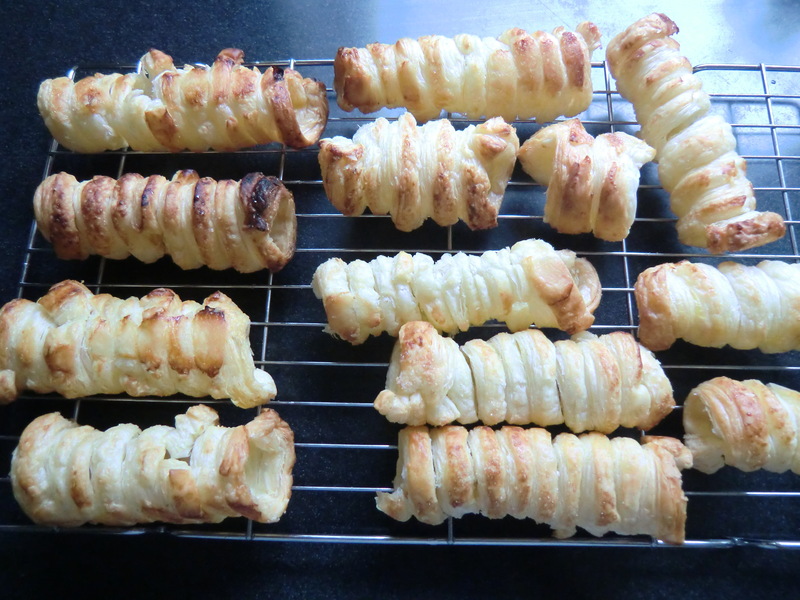 One packet of pastry makes quite a few rolls. I’d forgotten to sprinkle icing sugar on mine but I like that they weren’t very sweet! This is a simple dessert to make for when guests come around. 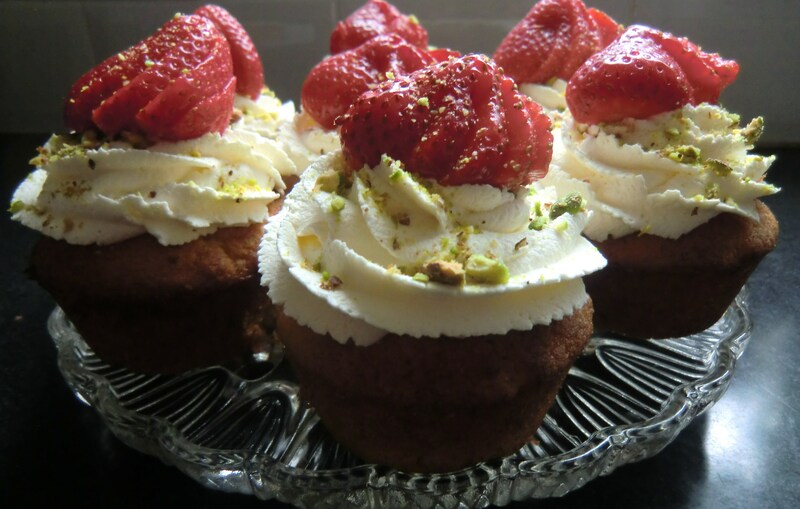 Serve as a snack with a cup of tea..
Are any of you Clandestine Cakes Club members? Have you heard of the club before? If not, and you LOVE baking cakes and anything cake related, you have to check it out! The basic premise is that as a member you bake a cake to take to an event, you share the cake with other members and then make new friends over the common interest of cake! I heard about this secret cake society over a year ago and was super excited with the idea. There are clubs all over the UK, and increasingly all over the world! It was founded in the summer of 2010 by a lady called Lynn Hill from Leeds, Northern England. 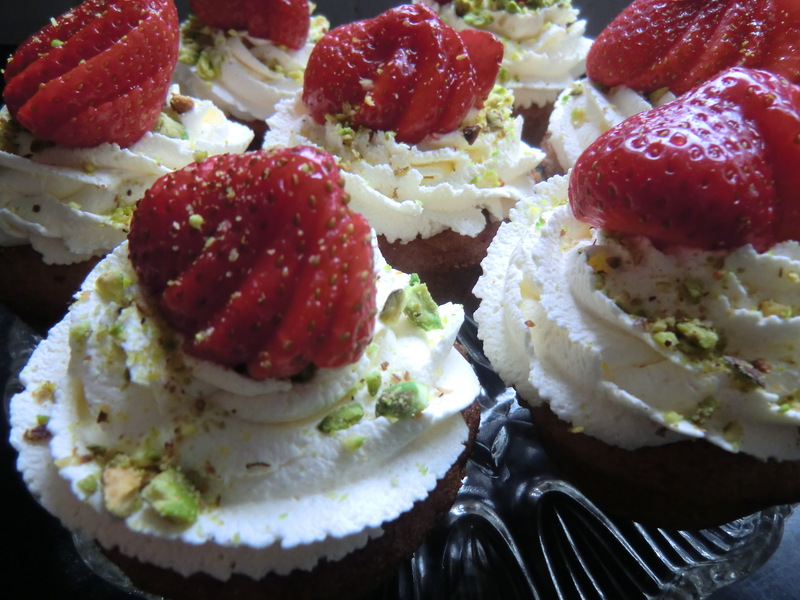 The mission statement for the CCC is: Bake, Eat and Talk about Cake, now there is nothing wrong with that! As you all know you can make plans and then life gets in the way so you put things off and then you find that months have gone by and you still haven’t gotten round to doing those things that you really want to do. The CCC is that thing for me! I joined one of the groups but kept on missing out on their meets due to being busy at work or having other things planned. I even baked a cake once and then missed the meeting as I was stuck at work! So this time, I planned way ahead and sent an email to join the January meeting. There are a few main things to take note of. The venue is a secret until a few days before the event. Once you have signed up to the event, the organiser will send an email to confirm the venue. There is a ‘Cake only Rule’- ‘CCC is not like any other club. You can share a cake, you cannot share a cupcake, Muffin or a Brownie. 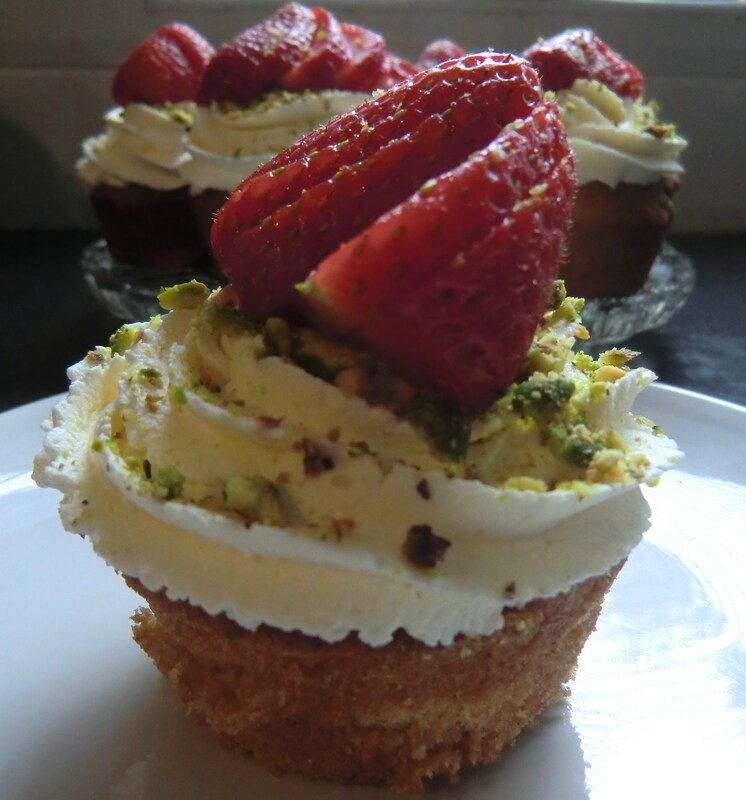 There is interaction and conversation as soon as you begin to slice a cake, that you don’t seem to get when you pick up a cupcake etc.’ You can also take a guest with you (who can choose to bake or not!). Each event has a theme to guide your baking and give inspiration. The theme of the event I attended was ‘nouveaux’ -trying out a new recipe or using a new cook book or cake tin etc. The groups are run by volunteers who do it because they love cake and baking. So check out your local group and join one today! On the night there were 15 cakes on offer! A lot of new members so lots of people to chat to and get to know. The tea flowed and we worked our way through all the cakes with the determination to try every single one of them. 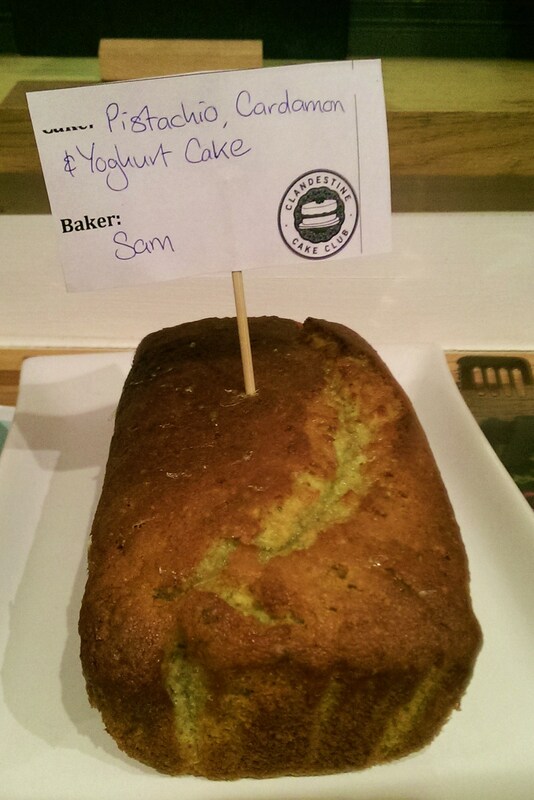 The recipe I decided to go with was a Pistachio, Cardamom and Yoghurt Cake. Not strictly a ‘new’ recipe for me but a ‘new improved version’ of the cake as I wanted to ensure that the cake would taste nice and I not turn out a total disaster! The cake was well received on the night, although it wasn’t the most attractive cake there. 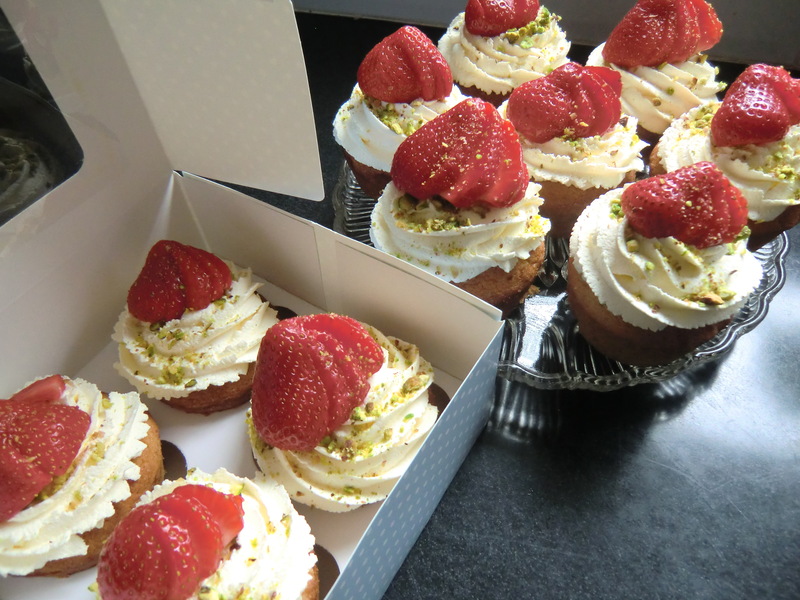 I got lots of comments about the flavour combination and was even asked for the recipe, which is always a good sign! 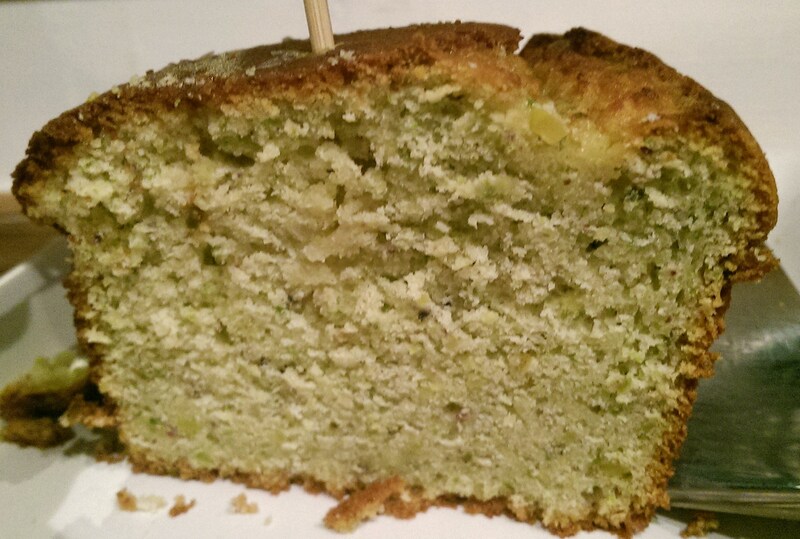 The cake is fairly dense but still moist due to the yoghurt and the lime drizzle. The flavours work really well together and it’s sto easy to do if you have a food processor! The original recipe contains a lot more sugar and a little less cardamom but I found it way to sweet, so I use honey to make the syrup, and found the cardamom could be stronger, so I have changed the recipe to my taste. The original recipe can be found on this site. This year I’ve started off with some tried and tested shortbread recipes. This weekend I made some Stem Ginger Shortbread for a friend of mine who is actually celebrating her birthday, so technically this was ‘Birthday Shortbread’. She’s also expecting her second baby, so I figured that ginger is great for any pregnant woman with it’s anti nausea properties (beside being really delicious!). 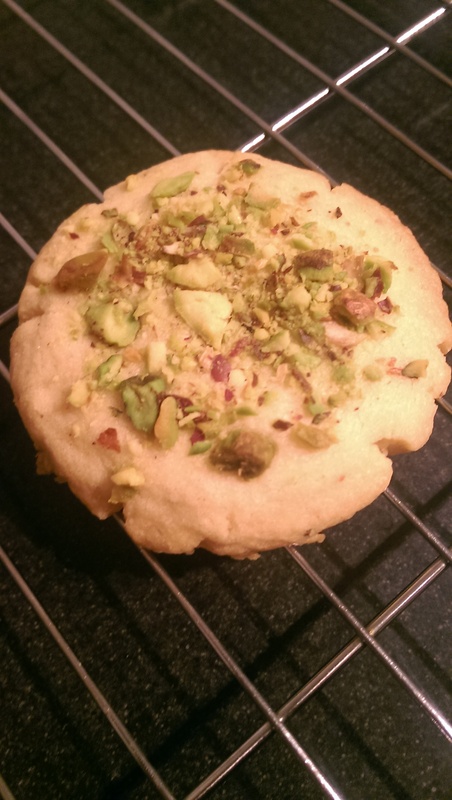 The second lot of shortbread was flavoured with cardamom and toasted pistachio nuts, a classic combination! 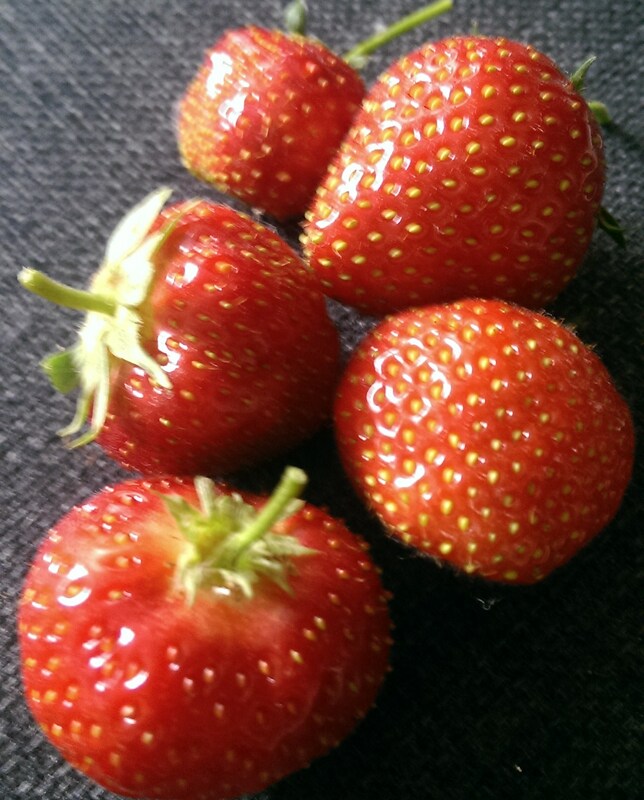 These were taken to some friends of mine who I have just started working with as a trustee of the Bumba Foundation. This charity raises money to build schools in Uganda for children who are otherwise unable to get an education. It’s an honour to be part of this work and I look forward to getting stuck into the fundraising events in 2014! Please check out the website for more information about the Bumba Foundation. Today was my first trustees meeting, so I took a these shortbread cookies to make a good first impression. The shortbread recipe I used was based on this BBC recipe that I have successfully used in the past but after researching a few other recipes I decided to substitute some of the wheat flour with a couple tablespoons of cornflour to ensure extra crispness, I think it worked! 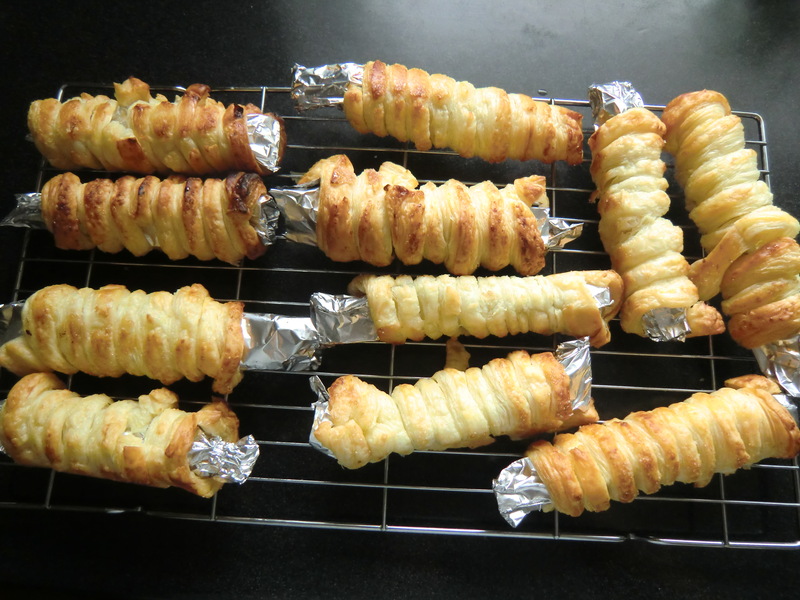 Using this basic recipe as the base, I added the additional flavourings by adding some of the stem ginger syrup to the dough and pressing chopped up stem ginger to the tops of the cookies. 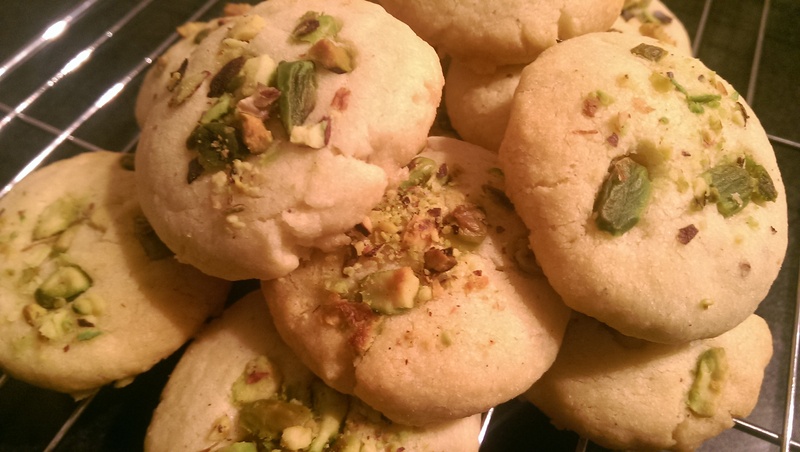 For the second batch the ground seeds of about 8 cardamom pods were kneaded into the dough and crushed pistachios pressed into the top. 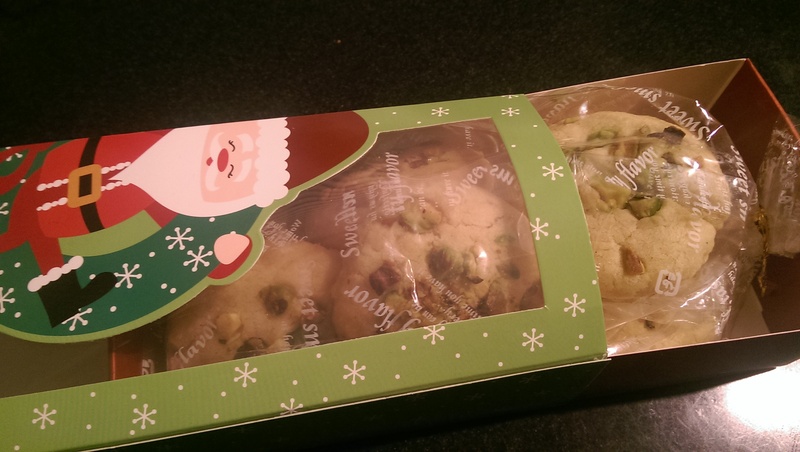 I wrapped the shortbread in some gift bags and sealed to keep them fresher for longer then put them in these little Wilton Christmas gift boxes that I found when Christmas shopping. Very cute don’t you think? !